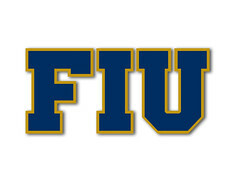 Today is FIU junior day, a huge day for recruiting. I’m out of town this weekend, but will post my preliminary list when I get back. For now, I figured we could monitor players on Twitter and post any guys who seem interested in the program. Go Panthers! Okay I guess no one else wanted to join in lol. I still haven't had the time to put together a comprehensive list like last time. Instead, I will share news on visits and offers within this thread. Others can feel free to join in. I think it would be nice to have an active thread dedicated to discussing recruiting during the offseason. Good looking prospect. Good stuff on putting this type of thread here to discuss potential recruits. 1 ) EJ Jackson, Glades Central. 6'0" 170 lb CB. Consensus 3-star. Unofficially visited FIU. 2 ) Quashon Fuller, Lehigh. 6'3" 277 lb DE. Consensus 4-star. Current FSU commit. Unofficially visited FIU. 3 ) TJ Robinson, Riverview. 6'2" 174 lb S. 247 3-star. Current USF commit. 4 ) Tiawan Mullen, Coconut Creek. 5'10" 160 lb CB. Consensus 3-star. 5 ) Martin Emerson Jr, Pine Forest. 6'2" 185 lb CB. 247 3-star. 6 ) Brandon Hill, Wekiva. 5'11" 200 lb S. 247 3-star. Unofficially visited FIU. 7 ) Major Williams, Dunbar. 6'1" 170 lb CB. Consensus 3-star. Current Virginia commit. Unofficially visited FIU. 8 ) Malcolm Ray, Carol City. 6'2" 230 lb DT. Consensus 3-star. 9 ) Tahj Gary, Woodward Academy. 5'9" 205 lb RB. Consensus 3-star. 10) Nayquan Wright, Carol City. 5'8" 185 lb RB. Consensus 4-star. The Coach Hill connection might be able to draw him in. 11) Javon Gantt, Westside Christian. 6'2" 207 lb WR. Unrated. Unofficially visited FIU. 12) Rian Davis, Wekiva. 6'2" 233 lb OLB. Consensus 4-star. 13) Cornelius Nunn, Palmetto. 6'0" 170 lb S. Consensus 3-star. That's it for now. Certainly there are others to watch too. Some I kept off this list because the reality of the situation is they are being recruited by top-tier programs and are leaning that way. Feel free to add others you have reason to believe FIU is pursuing. There were others as well, plus some guys in different classes. To get this level of prospective talent at the spring game is just awesome. Keep an eye on some of these guys. Good stuff, ‘Building. Thanks for making the compilation and taking the time to do it. Definitely keep an eye on these names. Akeem Dent? I thought the Jaguars just cut him. But if he still has eligibility left, I say let's get him! After doing some research on these guys on 247 and twitter, we should consider ourselves lucky if we can land 1 of them, 2 would be great and 3+ would be amazing. These are some of the most sought after kids we've ever pursued (besides Tayland) . I mean i'm not sure we've ever had a consensus 5 star player step foot on campus but that's very hard to track. Either way i agree is amazing that the staff got them to attend the spring game. Btw i saw Richard Leonard was in the crowd, pretty cool to still get support from former players. The trip to Dallas resulted in offers for consensus 3-star prospects Z’Core Brooks and Peter Mpagi.